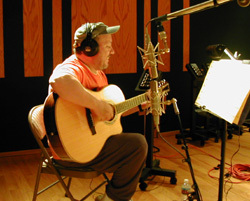 Musicians' find - WaterSound in the heart of Studio City, California! 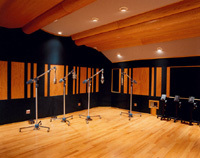 Watersound is a single-room all-purpose facility acoustically designed and built by Chris Pelonis (Skywalker Sound, La Casa Studios, Future Disk). Watersound is located in the calm district of Studio City, California surrounded by dozens of wonderful restaurants and shopping malls, only 15 minutes away from Hollywood and adjacent areas. Here you'll enjoy a large collection of classic analog pieces of recording equipment that have been carefully restored and maintained by WaterSound's technical team. The ability to work on diverse projects has been a major factor in WaterSound's on-going success. 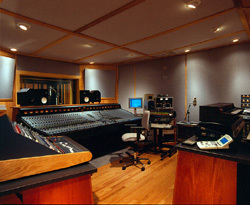 The studio can accommodate a wide variety of formats: analog or digital seamlessly interfacing them with all their equipment. The control room provides a listening environment that is incredibly neutral while revealing every detail through speaker playback. 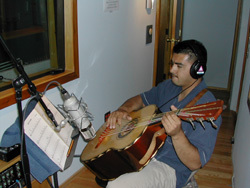 This is achieved by using a hybrid Oram console, the centerpiece of the control room. 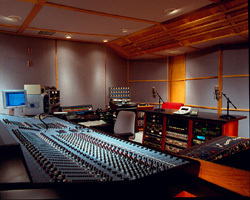 The console has been modified with improved electronics to achieve the highest quality sound possible. Jensen 990/ Beno May amplifiers, silver contact switches, mercury wetted relays and a mastering style detented volume pot in conjunction with a Vintage Custom 12 x 2 Neve side car mixer filled with 1073 modules make this console a gem. The console has been recently fitted with Flying Faders Automation System. Along with the console, key pieces of outboard equipment complement the control room, amongst them the four channels of UA 1008 Tube Microphone Pre-amps. These are the original modules that were part of the original United Western console in the 1960's. Coupled with a Lambda tube power supply, making them a constant choice for visiting engineers and producers. Rare pieces such as a Westrex compressor RA-1593 from 1945, are just an example of the equipment collection that is contained at Watersound to complement the music and artistry that is being captured. A favorite with Watersound clients, the Live Room, built with solid oak surfaces, features cutting edge diffuser technology called "Wave Diffusers". These custom designed diffusers by "RPG Diffusers" provide the Live Room with the right sound balance to compliment any instrument or voice. Along with the 48 dedicated microphone lines, we have four dedicated lines using audiophile "Exacte" cable to allow for a pure path between microphone & Pre-Amp. 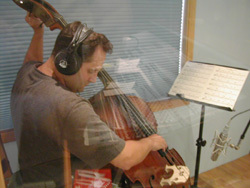 "The results have been simply stunning resulting in a naturalness of the instrument that is being recorded. " 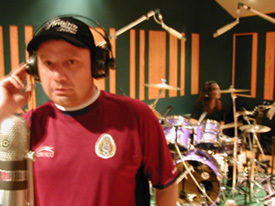 says owner/engineer/producer Carlos Castro. The room has successfully handled orchestras for up to 16 pieces with its natural balance of early reflections. The microphone collection is selective and features classic examples of wonderful sounding condensers: Neumann U-47's M-49's UM-57's , Telefunken 250's all matched pairs that have been carefully restored to original condition by Blue Microphones for trouble free operation. Luis Miguel "Amarte Es Un Placer" (Winner of The 2000 Latin Grammy Award for Album, Record & Song Of The Year); Luis Miguel "Vivo" (Nominated For 2001 Latin Grammy Awards For Album Of The Year); Pedro Fernandez "De Corazón" (Winner Of The 2001 Latin Grammy Award for "Best Regional Mexican Artist"); Marco Antonio Solis "2003 Album"; Alicia Villareal "Soy Lo Prohibido"; Nicho Hinojosa "En El Bar 3"; Thalía "No Me Enseñaste". BMG International; DreamWorks; Atlantic Records. "One of the greatest assets of the studio is its comfort level. The right amount of space and aesthetics coupled with our classic equipment are ingredients that allow WaterSound to stand out amongst the best. Personalized attention to detail for each project is our constant goal," says Castro.